Our ride begins at the acclaimed Williamsburg Winery for our tour devoted to the cultural history that shaped not only Virginia, but America. We’ll pay homage to the three cultures that came together and the land that bore their triumphs and defeats. Learning first about the agricultural beauty of the winery, we’ll make our way to the Colonial Parkway for a bike ride that follows the James River into Historic Jamestown. In May 1607, 104 Englishmen anchored their three small ships in the James River and came ashore at a place they named Jamestown, now preserved as part of the Colonial National Historical Park. Today we can bike the paved, one-way Island Drive which loops around the island, passing through the forest and swamps those early settlers encountered when they came ashore 410 years ago. Island Drive features a number of pullouts along the way at which we'll find interpretive signs describing life in this new world. As we bike, we stay alert for wildlife, maybe even catching glimpses of deer, foxes, turtles, crabs, ospreys, and bald eagles. 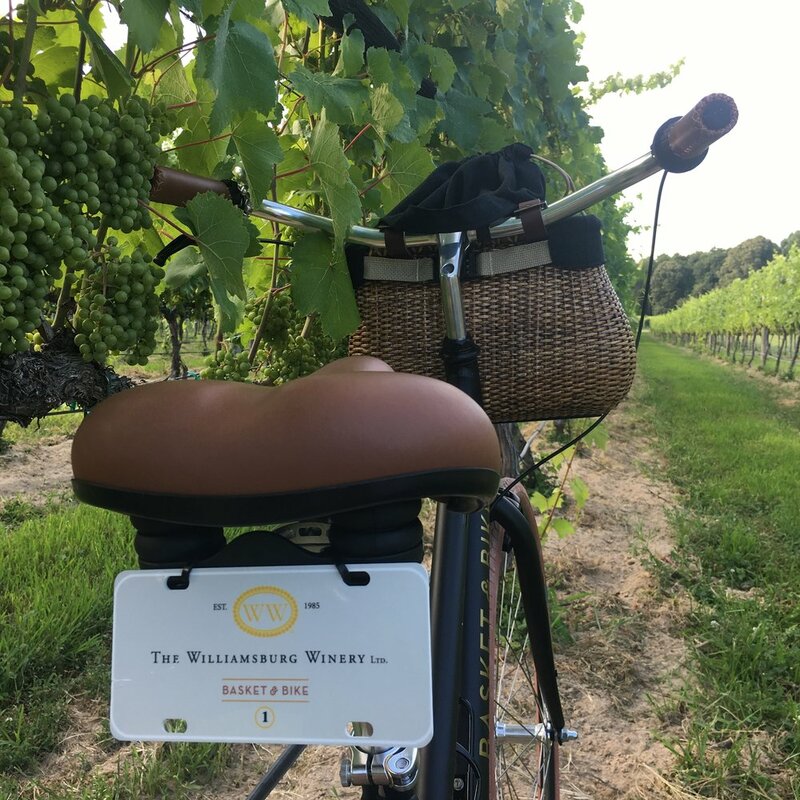 After an optional tour of Historic Jamestown we’ll bike back to the vineyard, to complete the excursion with a wine tasting celebrating the rich history and diversity of the birthplace of America.